I am so thrilled and honored to announce that The Golden Rule has won it’s first Award: The Children’s Literary Classics Seal of Approval!!! 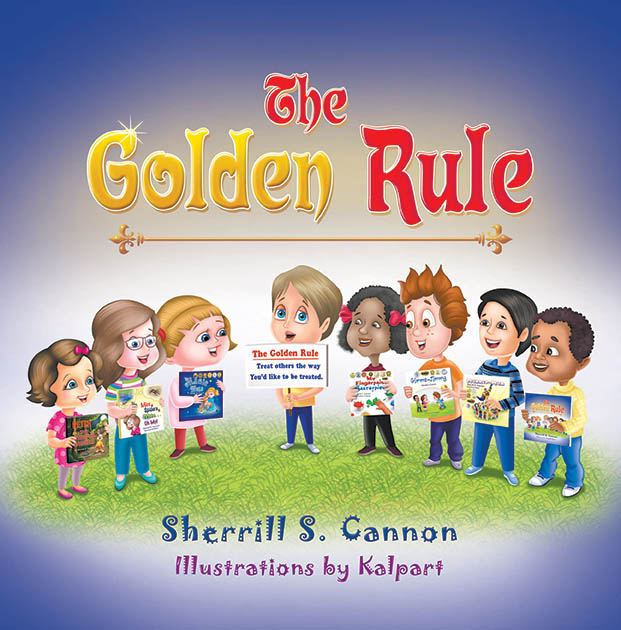 The Golden Rule, by Sherrill S. Cannon, is a fantastic book which teaches and inspires youngsters to be kind. Penned in rhyme, with a lyrical cadence, this book is well written and has a powerful message that will ring true with kids on many levels. 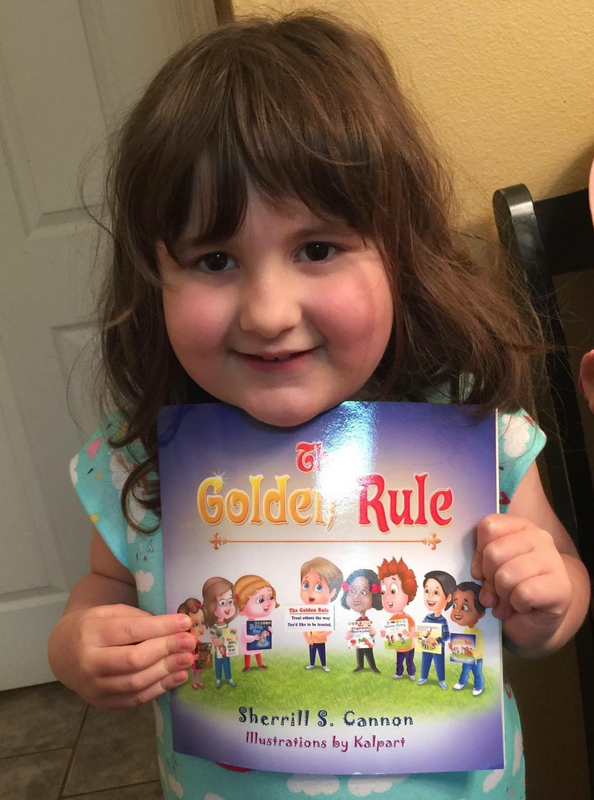 The Golden Rule is fun to read and is sure to become a favorite with parents, teachers, caregivers and children. The Golden Rule is recommended for home and school libraries and has earned the Literary Classics Seal of Approval. This entry was posted in Award-Winning, Bullying, Children's Picturebook, Consideration for Others, Golden Rule, Manners, Picture Book, Review, Reviews, sherrill s. Cannon, Uncategorized on April 30, 2016 by Sherrill S. Cannon. Thanks Golly Gee pers for the Tweet!! Terrific lyrical, charming story about #manners. Great job! This entry was posted in Award-Winning, Behavior, Bullying, Children's Picturebook, Consideration for Others, eBook, Manners, Picture Book, sherrill s. Cannon, Superhero, Uncategorized on April 30, 2016 by Sherrill S. Cannon. 8 Awards, including Illustration Award for Kalpart! This entry was posted in Art, Award-Winning, Children's Picturebook, Fingerpaint, Picture Book, sherrill s. Cannon, Uncategorized on April 29, 2016 by Sherrill S. Cannon. Fun to Find on the Reader Views Literary Awards Site! This entry was posted in Award-Winning, Behavior, Children's Picturebook, Computer speak, Computers for Kids, eBook, Good Listening, Picture Book, sherrill s. Cannon, Uncategorized on April 27, 2016 by Sherrill S. Cannon. Once again Sherrill Cannon has written a wonderful story with a very special message. The Golden Rule, is penned for the young, but is much more than a brilliantly written rhyming tale. It teaches how great it would be if everyone gave to each other what they would like to receive. The illustrations are charming and go wonderfully with the story. Ms. Cannon’s clever and intelligent gift for telling a story in rhyme that does not talk down to a child, but instead is consistently at their level is unsurpassed in today’s children’s books. Kudos to Ms. Cannon for another fabulous book. I highly recommend it. This entry was posted in Behavior, Children's Picturebook, Consideration for Others, eBook, Golden Rule, Manners, Picture Book, Review, Reviews, sherrill s. Cannon, Uncategorized on April 23, 2016 by Sherrill S. Cannon. A friend reminded me about how much her children enjoy My Fingerpaint Masterpiece, so I thought I’d remind all of you! The book is a 2015 Readers’ Favorite Gold Medal Winner Children’s K-3, as well as winner of the Illustration Award! 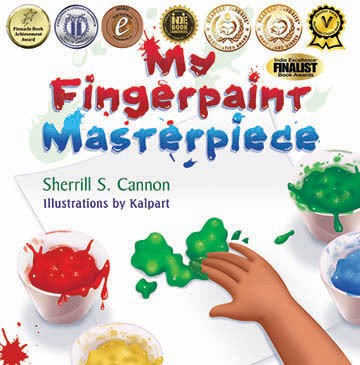 “Beauty certainly is in the eye of the beholder and nothing illustrates that truth better than My Fingerpaint Masterpiece written by Sherrill S. Cannon and illustrated by Kalpart. When a child is interrupted from a fingerpainting of his dog while at school, it is the start of a chain of events that leads one to wonder exactly how people determine what art becomes a masterpiece. On the way home, the child’s painting is blown out of his hands and lands in an art shop. It is then accidentally entered into an art contest and after the judges turn it in every direction, they decide that it is the winning entry. Disgusted with the outcome and the way that everyone is attempting to discover the deep meaning of his painting, the child tries to get everyone’s attention, but no one will believe him. 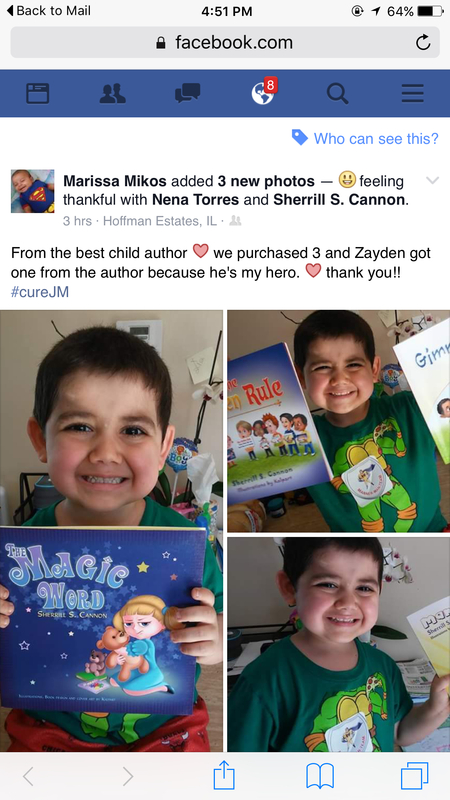 This entry was posted in Art, Award-Winning, Behavior, Children's Picturebook, Fingerpaint, Picture Book, Review, Reviews, Self esteem, sherrill s. Cannon, Uncategorized on April 20, 2016 by Sherrill S. Cannon.